Owner is tired and this is your opportunity to step into a business that is on the upswing after weathering the recession. 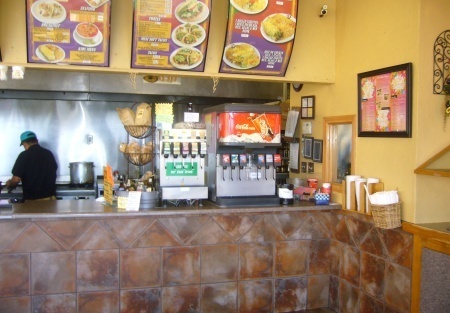 This popular Mexican Food concept was established in 1997 and at one time was grossing $75K per mo in sales. Current sales are $23K month and this is absentee owned. Located in a great family oriented community. Soccer moms and carpoolers get hungry too! Fully equipped kitchen with a 16 ft hood, this baby is a turn key opportunity. All you need is some energy and a willingness to work at a business you will love. Still known for their tasty tacos, this restaurant can bring clients in the door. The center is anchored by a Ralphs Market and a very busy Ross store. Located right off the freeway! Owner is currently spending $6K mo on payroll costs. This is a perfect sutup for a partnership or husband-wife team. Perfect end cap location on a main road in one of Southern California's most popular cities, this business is ripe for fresh legs and a new set of eyes. Current owner does No catering-No marketing and has No advertising budget. New owners can have a good slice of the Mexican food market in this area. Priced reduced and this absolutely will not last.